Electronics is a subject I've been around most of my life. My dad had electronic components and tools around when I was growing up. I never had an interest in it, but I was at least exposed to it. Jonathan has been showing an interest in how things work. He is his father's child. They like to tear things apart and put them back together. I was recently contacted by Jack, aka EEME Dad. 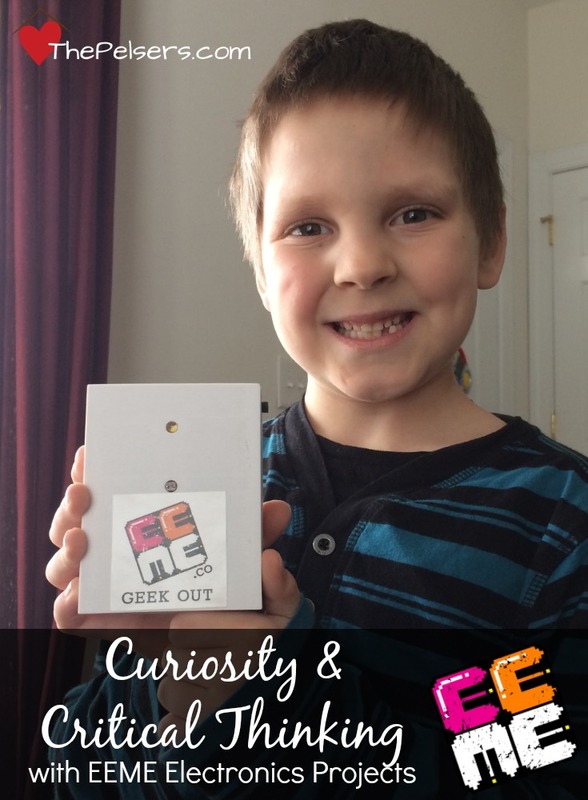 He has created an electronics project/curriculum for kids 7-12. He asked me if we'd try out a project and share our thoughts with you. What perfect timing! 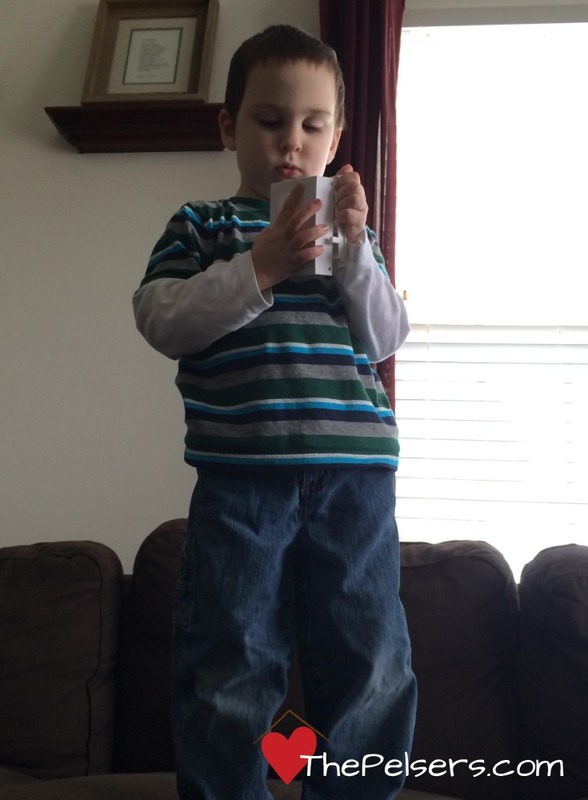 Jack founded EEME after a dissatisfaction with educational toys. He wanted fun with a knowledge of how things worked. He wanted to see kids ask why and be able to show off something that they were able to build themselves. 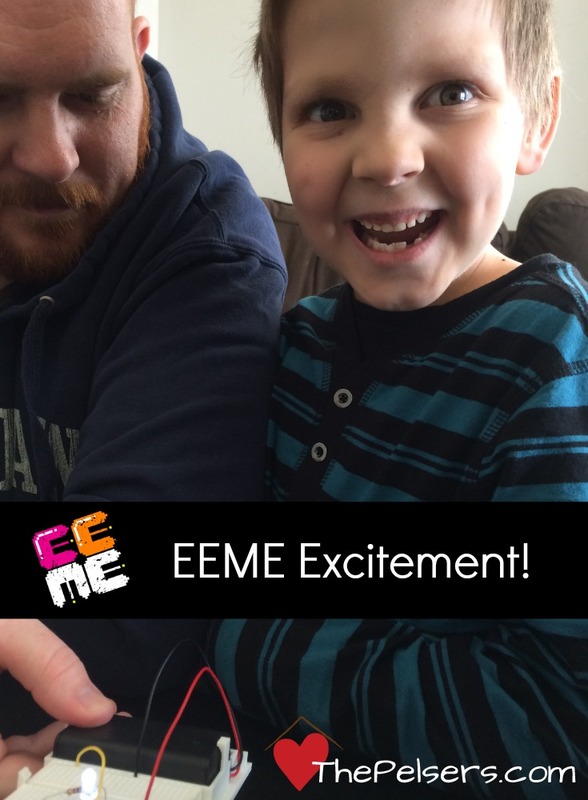 EEME offers online videos paired with a 5 month project subscription. Every month for 5 months, you receive a project kit in the mail. Using the online videos, your child learns about the basics of electronics and builds a fun project. 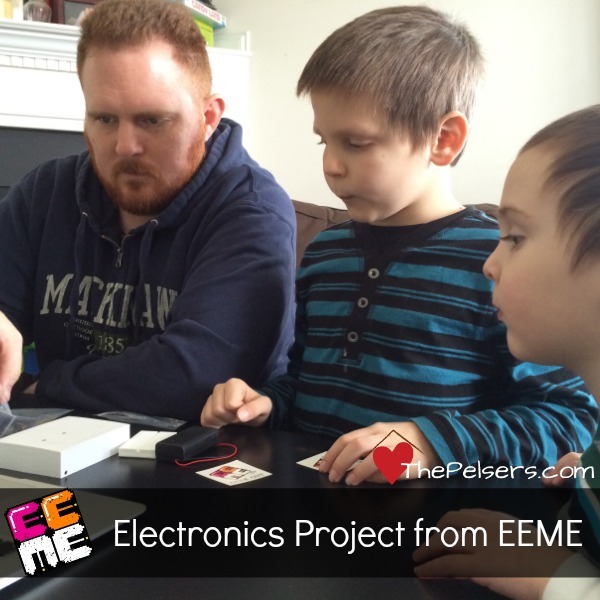 In addition to the project subscription, EEME has a couple of neat freebies to check out. One is a virtual LED circuit project. 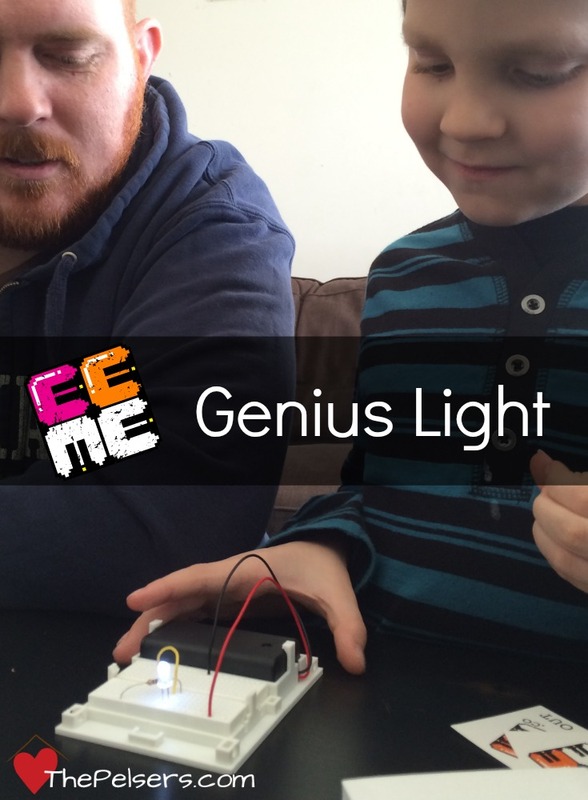 Right in your web browser, you child can play and build a LED circuit. The other is a series of videos about using a multimeter, which is an essential electronics tool. Jack sent us the deluxe version of the month 1 project, the Genius Light. It's an LED light with a sensor that controls the brightness of the light. The deluxe version includes a cover to complete the project and enclose the board and wires. 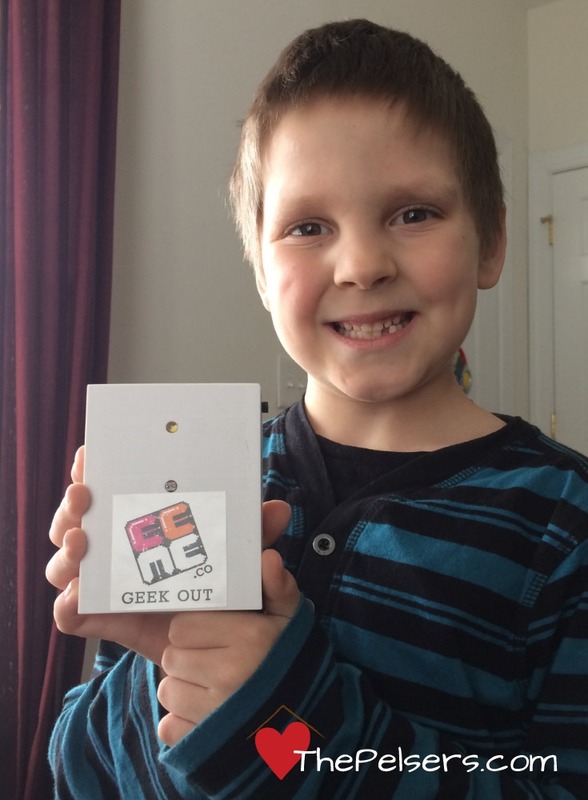 Jonathan was so excited when the box arrived with the project. He and Josh sat down the very next day to do the project. Jacob even watched the videos and tried to get in on what the big boys were doing. They watched the videos, talked about how and why things work the way they do, and had to answer some quiz questions to make sure they understood the material. The parent doesn't need to know anything about electronics to do the project, everything is in the videos. Jacob may have strayed from the project at one point… and ran off with some of the pieces. Josh liked the format. He said that he wished something like this would have been around when he was a kid. He thinks that the video teaching paired with the hands-on project would be a good way for most kids to learn electronics. Jonathan said that his favorite part was the finished project. He thought that it was so cool that he could build something from start to finish with real wires and resistors that works. My take? I loved watching the boys get into the project and do something fun as well as educational together. A project like this is a great way to get dad involved in homeschooling. Jack says on his website that his goal his to nurture curiosity and critical thinking in kids. I'd say he hit the ball out of the park with his EEME projects. Want to try EEME yourself? Jack is offering my readers $5 off the first month of the 5 month subscription. Just use this link to go over to EEME to learn more and sign up. EEME offers a 100% money back guarantee and you can cancel your subscription at any time. Material Disclosure: We were provided with the Genius Light deluxe project in exchange for an honest review and compensated for our time. Do you feel the covers are important and worth the money? Good question. If you think your child might want to keep any of the projects in a final finished form, then yes. If you think your child would be more into take it apart and playing with the components, then no.